Take the N1 from Tswane/ Pretoria to Polokwane as you enter Polokwane continue with Grobler street. Proceed on with Grobler Street (0ne way right through town). Turn left onto R81 heading to Modjadjiskloof / Mall of the North. Proceed on the R81 heading to Modjadjiskloof. Once you pass the Sterpark robots On the left hand side you will see a sign board saying Mitchell House. 100 meter further turn left into Meteor Ave. Proceed on with Meteor Ave, it makes 2 turns by itself Till you see a gate at the T-Junction with Pierre Street, with “39” sign on. 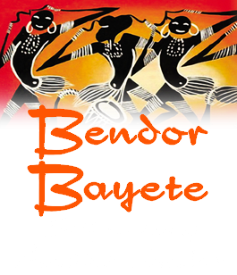 Destination: Bendor Bayete SOME INTERESTING INFO Polokwane is the capital city of Limpopo, the most northern province of South Africa and all roads lead through Polokwane. Actually, it’s only two roads. The R101 or “old” Pretoria – Pietersburg road and the N1, the highway between Tshwane and Polokwane. Polokwane was previously known as Pietersburg. There is a third road that connects Polokwane with Nelspruit, capital of Mpumalanga province. This road leads through Lydenburg and Burgersfort and links up with the R101 just outside Polokwane.